Upon successful completion of the course, every candidate will receive an identity card and certificate, and will be registered on the ALLMI Operator database. The assessment process is set by ALLMI and administered by PB Training Services Limited. It consists of two theoretical assessments and one practical. The theoretical assessments consist of a set of core multiple choice and ‘open’ questions, as well as questions which relate specifically to the crane attachment being used. The practical assessment is designed to identify whether the candidate has the appropriate practical skills to operate a lorry loader safely and efficiently. Distinction is made between different types of attachment, capacity of the loader, remote controlled loaders and various specialist applications (e.g. barge mounted, static mount, etc). 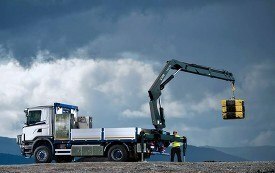 These are categorised due to the individual skill requirements needed to operate these types of loader crane safely and efficiently. 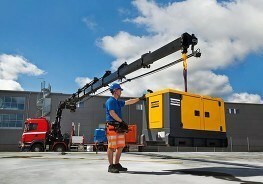 For example, if an operator is trained and certificated in the use of only a hoist attachment (category 2), they should not be permitted to use other attachments until conversion training has been undertaken. A certificated operator who is trained on the use of lorry loaders with a capacity of up to 20tm, is not to use a lorry loader with a capacity greater than 20tm.